Today you can literally install a domestic or commercial, inclusively designed bathroom almost anywhere a water supply can reach, and all without any major ground works. Inclusive bathroom design possibilities are endless with the freedom offered by using macerators and pumps in conjunction with shower cubicles, WCs, basins and brassware specifically designed for ease of use. 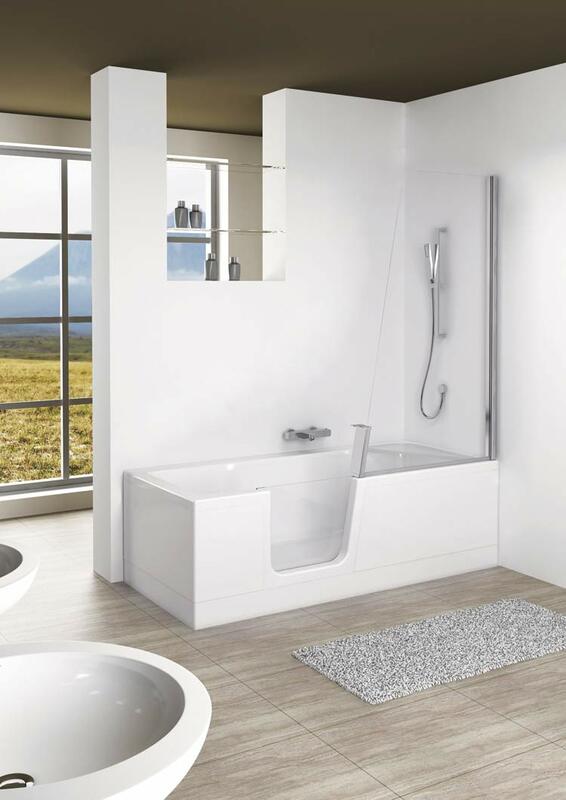 In domestic situations, for example, there is an increasing trend among ageing customers – or those with mobility issues – to replace a bath with a shower for ease of bathing. Shower cubicles with integrated panels can offer a swift replacement solution with no need to redecorate, a bonus where budget is limited. Look for cubicles that are available as corner or recessed designs and don’t compromise on style and design. Choose a cubicle that features cool, sleek glass panels, for example, with an attractive anodised finish. Today you can even find cubicles that come complete with an integrated thermostatic shower control, offering you hot water safety. By choosing a cubicle that can be installed in a day you save time, fuss and hassle as there’s no need for retiling. 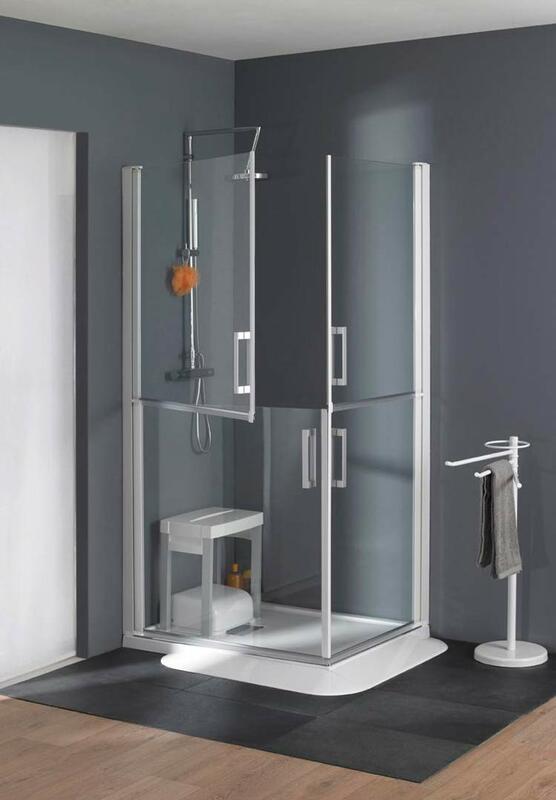 The benefits of installing a shower cubicle rather than an enclosure are many. Cubicles offer a swift and hassle-free showering solution for any shape or size of bathroom and en suite. In most cases, you can have a watertight enclosure (without using silicone), complete with the shower, controls and doors fitted and ready to enjoy in less than two hours. Sometimes a downstairs room may need to be converted if the consumer struggles to make it up the stairs. This may be an area that doesn’t have access to traditional drainage to take the waste away, which may inhibit the conversion taking place unless substantial civil work is carried out. To overcome this you can specify a shower waste with a suction pump and sensor that enables the installation of level access showers and wetrooms in situations where gravity drainage is not an option. In today’s modern bathroom of high output rainfall and power showers such a shower waste is designed to cope with a large deluge of water at any time. Choose a shower waste with discharge pipework of 32mm wide and with a suction pump flow rate of 25 l/min at 3m, which is compatible with the latest waterfall and rainshowers. Other excellent showering options for an inclusively designed bathroom include cubicles with half-door, regular door and fixed wall options. Look for designs that prevent splashing, that have handles for easy manipulation and that are watertight without silicone. Choose a cubicle where opening the upper half of the door allows easy access for helping a wheelchair user or a child take a shower in a comfortable, attractive setting. 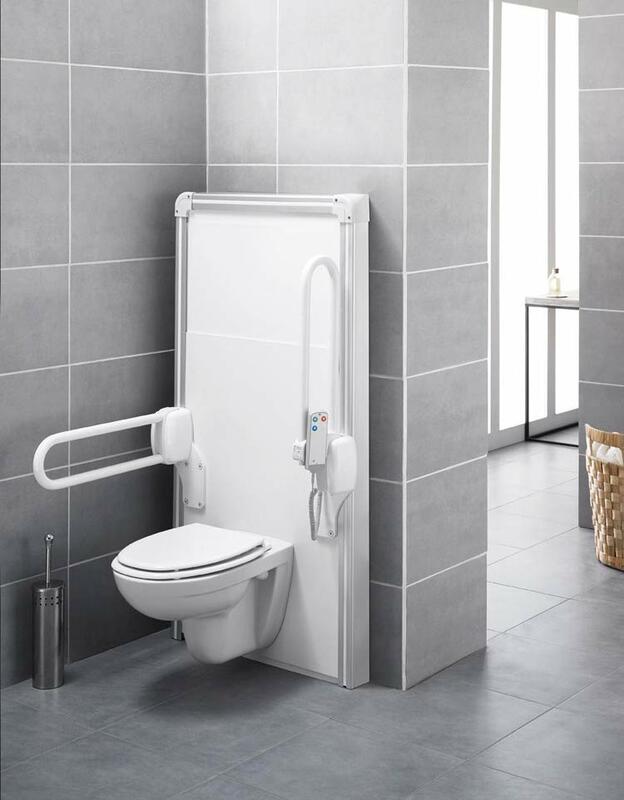 Ensure the doors can all be individually hinged to enable ease of use, which is of vital importance both for wheelchair users as well as carers who give assistance in the bathing process. But if the consumer prefers a bath then there are a variety of walk-in baths available on the market today. Look for options that are desirable for all the family. Go for aesthetics, practicality and price. A walk-in bath is a bath that provides easy access and is not meant as a less able/disabled product. This should be reflected in the design, so there is no need to compromise. Choose walk-in baths that offer a 2 in 1 product, so a shower/bath, which incorporates a high shower screen, bath access door and removable seat. Ensure the door is easy to push for easy access. In addition to providing the perfect bathing facilities, choose a WC that enables the user to adjust the height using a corded remote control, especially one where the seat height can be adjusted up or down while the person is actually seated and where the user can flush the WC without having to turn or stretch. With such a WC, the advantage to those who need assistance when standing up or sitting down is clear: children, adults, the motor disabled and the elderly can instantly adjust height to their particular needs.